• The authors explore how five key elements can help nonprofit organizations with capacity building, and identify the barriers to funding these efforts. • How can donors help nonprofits work through the challenges of capacity building? • Read about capacity building for social change. Ask any nonprofit leader and you’re likely to hear that investments in capacity make a meaningful difference to organizations. Research backs this up. A study of Meyer Foundation grants found that investments in capacity produced positive, long-term financial results for grantees, regardless of the type of capacity-building grants provided. There are certain barriers that may help explain why foundations aren’t devoting more funding to capacity building. Nonprofits may be reluctant to share information about their capacity-building needs with funders because they’re not sure whether such sharing will have repercussions on future funding decisions. 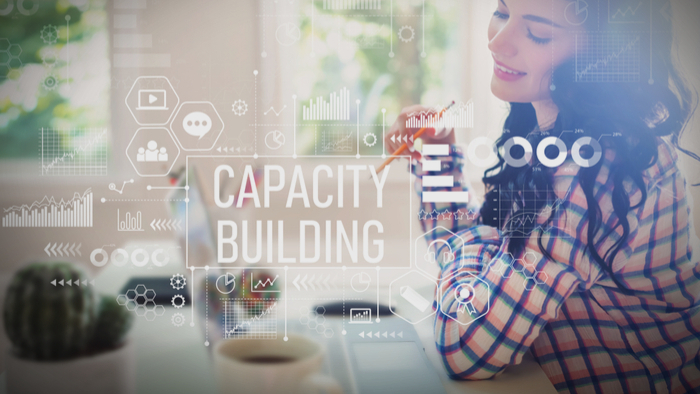 We’re also learning that because organizations have unique needs, tailored approaches to capacity building tend to be the most effective, but they also make supporting capacity building more resource-intensive for foundations. The United Nations’ sustainable development goals were created "to end poverty, protect the planet, and ensure prosperity for all”. There are specific targets for each of the seventeen categories outlined in the plan, but the UN does not suggest that these are truly separate issues. Kathy Calvin, CEO of the United Nations Foundation describes the interconnected nature of these problems in her article The Change We Need to Make to Achieve a Sustainable Future: Thinking Beyond Issues and Sectors to People: If you care about children’s health, climate change should matter to you. If you care about job growth, peace and justice should matter to you. If you care about the environment, gender equality should matter to you. And if you care about education, meeting humanitarian needs should matter to you. There is no way, according to Calvin, to address one issue while ignoring the others with which it is intertwined. The fact that all of these issues are inextricable makes them all the more daunting. The number of refugees and displaced persons alone is an issue that can seem insurmountable. Currently, there are estimated to be 65 million displaced persons worldwide, 21.3 million of whom are considered refugees. Over half of these are children. Nearly a fourth of refugees are composed of those fleeing the ongoing conflict in Syria. An estimated 4.8 million Syrians have fled their country. Turkey now has over 2.7 million Syrian refugees, and Lebanon has over 1 million. When the refugee crisis is seen in its full scope, with all of the other problems it brings along, things can seem hopeless. The solutions to these problems must be as integrated as the issues themselves. Like what you are reading? Join Giving Compass and get your daily dose of inspiration to become an impact giver! Learn, Take Action and Connect! The UN offers a list of actions that ordinary citizens can take everyday to improve the sustainability of the globe. The whole list can be found here, but it all boils down to one thing: be mindful in everything that you do. Sustainability issues aren’t about what charitable activity you can squeeze into a free Saturday afternoon: they are about the thousands of decisions you make throughout the week. Where you shop, what you buy, what you eat, what you use, what you save, where you go and how you get there. All of these small choices add up to a lifestyle, and choosing a sustainable lifestyle can have a big impact. The UN Foundation list is a good place to find ideas about specific improvements you can make for a more sustainable lifestyle, but below I outline an approach that will keep you on the right track. For each item that you buy think about the lifecycle that it will experience: Where did it come from? What will it be used for? How long will it be used? Where will it go when you are done with it? For each activity that you do ask: What are the consequences of this? What are the benefits? Who will be impacted? Always consider alternative options and see if you can come up with a better solution for the planet that still works for you. It is important to remember that sometimes your conclusion will be that your non-sustainable lifestyle choice, like continuing to consume meat, is not something you are willing to give up. That is ok. Find the ground you are willing to give; do not let one unsustainable choice deter you from making progress in other areas. Nobody is perfect, and every little bit helps. Each person on a vegetarian diet, each person who switches to efficient appliances, each vote cast in favor of an environmental champion helps to tip the scale towards a sustainable future. According to the UN, we solve global sustainability issues one decision at a time. ______ Original contribution by Clarissa Coburn. Commit for the long term. The ability to be successful over the long haul requires ongoing attention to organizational capacity — think of it as a sort of personal healthcare plan for nonprofits. Co-create solutions with stakeholders. A common criticism of capacity building is that it can feel paternalistic. And this is more likely to happen when foundations make assumptions about what grantees need and design services without their input. Strengthen the ecosystem. Ask any nonprofit or foundation leader about the challenges they encounter in efforts to strengthen capacity, and chances they’ll tell you how difficult it can be to find the right service provider. Support both technical and adaptive capacities. When nonprofits are working to address a complex problem, some of the capacities they need are adaptive. Ground capacity building in equity. The Kresge Foundation delivers capacity-building programs focusing specifically on leadership development through a racial-equity lens.